In stock. We should be able to ship within 24 hours. More are available from supplier. 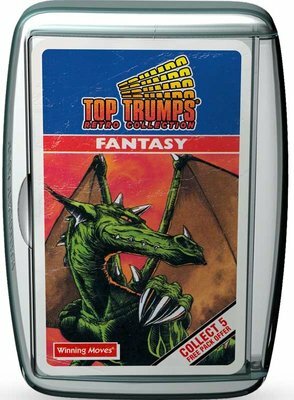 Immerse yourself in fantastical nostalgic glee with the Fantasy Retro Top Trumps pack. Containing 30 cards, this throwback deck showcases original artwork including the Ogre, Firedrake and Wizard and the revived Fantasy Retro pack is presented in a newly designed cassette case. The pack features its original production date â€“ making it the perfect gift for someone special born in the same year.